I can only access the login page from wp-login.php, since /wp-admin/ displays a blank white page. Given these things I've tried, and that I'm not receiving any PHP errors, what else could I try? Rename themes directory and plugins directory. Now visit /wp-admin/ or /wp-login.php. I hope this time it would work. If step 2 works, then login to the dashboard. Then, visit Appearance menu and activate any default wordpress theme. I hope, this point you can access the front-end also. If that works, then now you can try to activate the theme what you used before. If that works, then probably your them doesn't have any issues. If step 7 works, then you can rename back the plugins directory as plugins and find if there any problematic plugins are there. If that again breaks your site, then repeat step 1-6 again. If step 7 doesn't work, then repeat step 1-6 again. In this case, your theme has some issues. Fix it. This error is generated in wp-login.php , it happens if server is unable to set cookies, this can happen due to several reasons, one of the common issue is: output being sent before setting up of cookies. change theme, if you are using custom theme, just ftp into server and delete the custom theme folder, WordPress will revert to default theme. Also check error log, errors may not be printed to screen. Step 1: Check the error logs, to view which file(s) is causing error.Checking your error log file will help you understand what is exactly causing the issue. Step 2: If the errors are like “Cannot modify header information – headers already sent by (output started at” and then file path and wp-login.php file’s path and line number.This will confirm you that it is UTF-8 BOM issue and you could locate the file that has got the issue. Step 3: Open the file (In my case it was “custom-posts.php” file) causing error in Notepad++, which has got the issue. 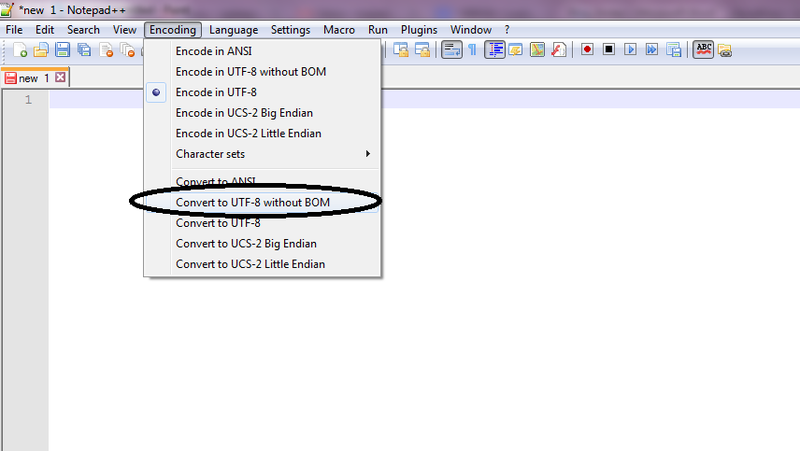 It will show you “Encode in UTF-8” selected under Encoding option from the menu. You need to make sure that you have selected “Encode in UTF-8 without BOM” and it is NOT “Encode in UTF-8”, then click on “Convert to UTF-8 without BOM”, hit enter anywhere in your file and save. It worked for me; however in some cases it can be plugin issue and renaming plugins folder can help. But before making any changes make sure you have checked the error logs so that you know what you are doing. First check your site with a default WordPress theme and if your issue is resolved, so try to check your theme php files and remove any space or new line before <?php and remove ?> at the end of files. Also check https://codex.wordpress.org/Editing_wp-config.php#Set_Cookie_Domain and use define( 'COOKIE_DOMAIN', 'www.askapache.com' ); in your wp-config.php. As per my opinion this related to some theme issue. Follow below steps and I hope this will your solution. 1. WP_DEBUG to TRUE set the value of WP_DEBUG to TRUE in your wp-config.php file. This will give you a meaningful error message on the wp-login.php page. After solution you can rollback this change. Once you set TURE for WP_DEBUG, you may get Cannot modify header information error message. Based on that message, we can assume that there may be issues with your Theme. If point 2, You need to rename your active theme folder name by some value(i.e. mytheme TO mytheme1). You should be able to login though it will default to the current default theme. Once done step 3 and login success, you can again face same blank page issue. Don't worry because this is due to point 3. Active one of the available theme from Admin panels > Appearance > Themes. NOTE: Don't select your old theme(i.e. we renamed it into point 3) because that theme has got problems. Once you solve that problem you can again use that theme. For your theme related issue, you can check what is the problem by checking log file. 2. Inactive your all plugins, and again activate it. That's done! Hope this help you well. To completely rule BOM characters out, I'd try manually retyping any code (in functions.php and wp-config.php) you have copied from other sources into a document you are sure is UTF-8 format. It's possible the characters remained even though the document format was changed in the program. Added Note: If you aren't sure if your version of Notepad++ supports "without BOM," try using a different editor. Chances are you'd only need to use a different one for this particular issue. Aside from that, have you tried completely replacing your wp-login.php file? You could try that and/or replacing the entire wp-admin folder. If you had trouble with nav-menus.php not uploading correctly, other files/directories may have failed or partially uploaded as well. I had same issue and i RESOLVED it. I just connect with FTP and change the theme and plugin folder name and i can access the wp admin without any issue. I hope this help others. I had this same issue and I was able to log in to the dashboard just renaming the theme folder. So the issue was with my theme. Not the answer you're looking for? Browse other questions tagged login wp-config cookies or ask your own question. How to resolve error “Cookies are blocked due to unexpected output.”?